Frankfurt is an important commercial and economic center of Europe due to its central location in the state of Hessen. This ancient imperial city is dominated by buildings and carries nicknames like “Mainhattan” and “Chicago on the Main“. The Römerberg is located in the heart of the old town. The square has an irregular shape and in its center is located the Fountain of Justice (Gerechtigkeitsbrunnen). The Frankfurt Cathedral is located in the center of Frankfurt. It is dedicated to Saint Bartholomew. It was built in the 13th and 15th centuries with Gothic style. The Paulskirche is located on the Paulsplatz. It was built between 1790 – 1833 and restored in 1948. The Church is an important political symbolism in Germany and became in 1849 the seat of the Parliament of Frankfurt, the first publicly and freely-elected German legislative body. The Alte Nikolaikirche is one of the symbols of the city. It is located in the old town. The church has 51 bells, 4 are used to resonate and 47 are used for chimes. 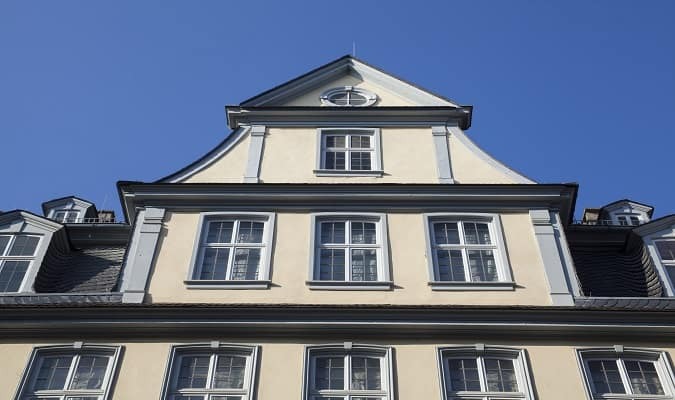 The Goethe House where the greatest German writer Johann Wolfgang von Goethe was born and where he lived from his birth in 1749 until 1765, shows how his family and employees lived. There are many rooms to be explored from the sumptuous decor of the dining room on the main floor to the top floor office where he wrote many first of his works. 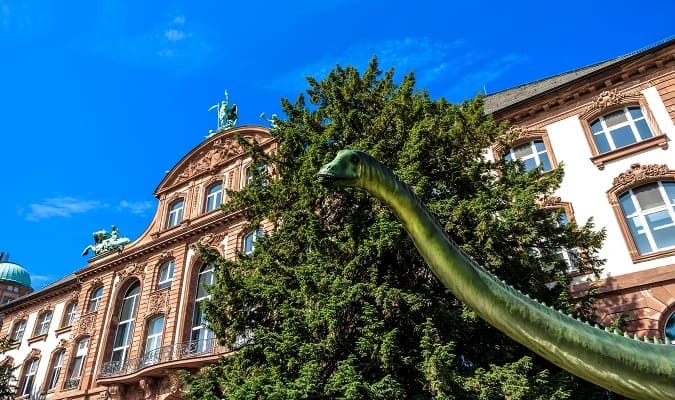 The Naturmuseum Senckenberg is one of the most modern natural history museums in Europe. The museum houses Europe‘s largest collection of large dinosaurs. The Museum of Modern Art is considered to be one of the most important galleries in Europe of contemporary art. It was opened in 1991. The Alte Oper was built in 1880. It is located in the heart of the Opernplatz. It remains one of the most important concert halls in the city. 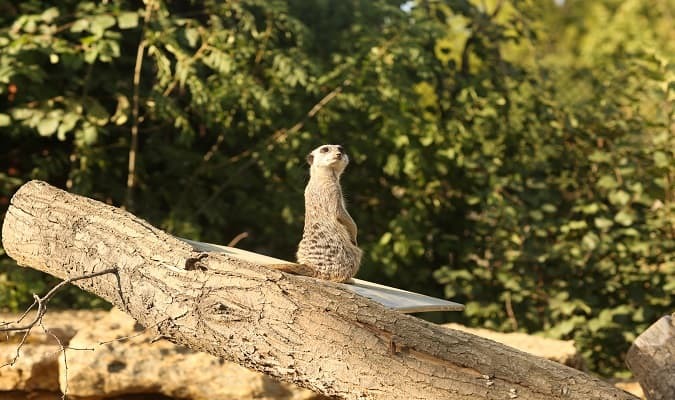 The Frankfurt Zoo is home to more than 4,500 animals representing at least 450 different species. It is the second oldest zoo in Germany. 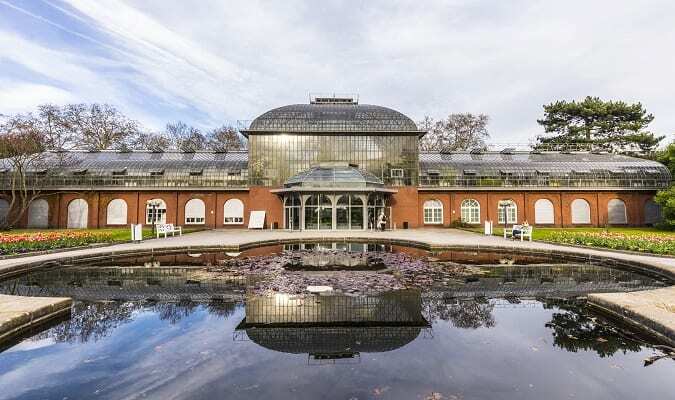 The Palmengarten is Germany‘s largest Botanical Garden. The gardens offer leisure facilities such as children’s playground and picnic areas. The Hauptwache area is undoubtedly one of the busiest pedestrian areas in the city. It is famous for its mix of historic old buildings and recent modern structures. The Eschenheimer Turm was built in the early 1400s. It is 47 meters high and still impresses with its dimensions. Today the tower houses a café and meeting rooms. The Waldstadion has been updated several times. At the beginning of the new millennium, it was completely refurbished and received a new concept as the Commerzbank Arena. The Main Tower is 200 meters high. The construction of the Main Tower was completed in 1999, a tall building with a facade made entirely of glass was first built in Europe. This building is particularly popular with people from Frankfurt and tourists. It has an observation platform accessible to the public with a restaurant. 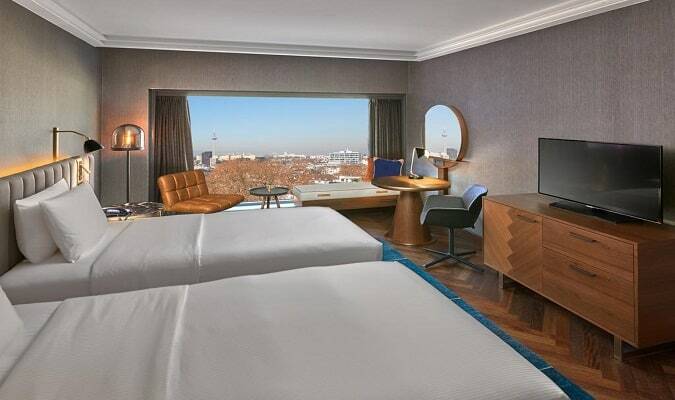 The Fleming´s Frankfurt is located 15 minutes by tram from the Frankfurt Messe. 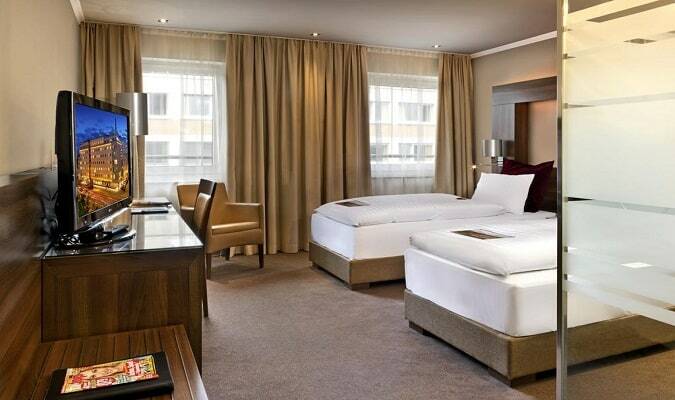 The Hilton Frankfurt City Centre is located 1 km from the Römerberg. Rooms feature contemporary decor with a large window overlooking the city or park. The hotel has a swimming pool and sauna. The Skyline Frankfurt is located1 km from the Messe. Rooms are equipped with a flat-screen TV, safe, work desk, minibar. The Marriott Frankfurt is located near the Messe. Rooms are equipped with a flat-screen TV, minibar, safe, work desk. The My Zeil is located near the Hauptwache. Brands: Adidas, Bench, Guess, Pandora, Gant, Swarovski. The Skyline Frankfurt is located 850 meters from the Messe. Brands: Marc O´Polo, Mango Kids, Mango, Pandora, Zara, Zara Home, Swarovski. The Hessen Center is located 7 km from the old town. Brands: Bonita, Douglas, Tom Tailor, Vero Moda. The Wertheim Village is located 88 km from Frankfurt. Brands: Fossil, Coach, Calvin Klein, Diesel, Gant, Escada, Lacoste, Versace, Tommy Hilfiger. Frankfurt has easy train access from various cities in Germany. Famous cities nearby: Mannheim, Heidelberg, Stuttgart, Koblenz, Wiesbaden.